Are Democrats On the Take, On the Border? Border patrols agents recommend it. Ranchers and law enforcement officials in Arizona, New Mexico and Texas want it. The president promised it and a majority of Americans support it. So why now are all Democrats and some squishy Republicans adamant in their opposition to a wall on our southern border? The easy answer is Democrats need new voters to replace the moderate Dems and independents they have lost with their wacky policies. Conversely, Republicans want low-skilled workers to satisfy their corporate lobbyists who want to increase profits by paying lower wages to their employees. Could there be another reason though, for politicians’ unwillingness to yield on their refusal to provide a border wall that would inarguably cut down on crime, drug running, human trafficking, child molestations and exploding welfare rolls? 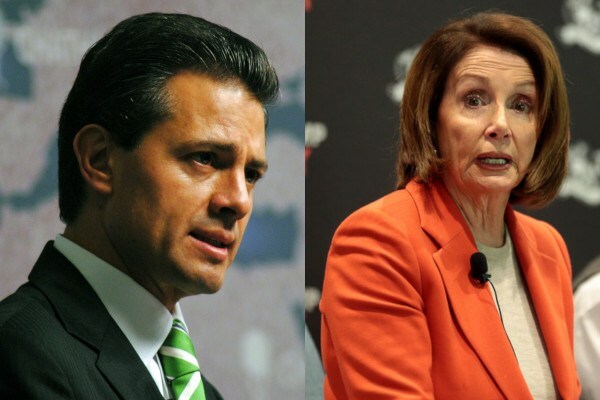 In May, 2016 Nancy Pelosi, a former Speaker of the House at the time and current Speaker, visited Mexican President Enrique Peña Nieto along with Democrat Robert “Beto” O’Rourke, Democrat Representative Henry Cuellar, and other congress critters. Of the 11 elected officials on the trip, two were Republicans and nine were Democrats. The two Republicans taken for a ride south of the border provided Pelosi cover to tell the media it was a bipartisan group of lawmakers involved. The nine Democrats participating in the junket to Mexico were from border states California, Arizona, New Mexico and Texas. The two Republicans represented districts over a thousand miles from Mexico but no doubt enjoyed their time in the sun toasting each other’s bipartisanship. Uh, huh. Here’s another reason: What about a substantial bribe of drug cartel money to buy Democrat opposition to a wall and to keep the drugs and illegal immigration flowing faster than the Rio Grande after a flash flood. 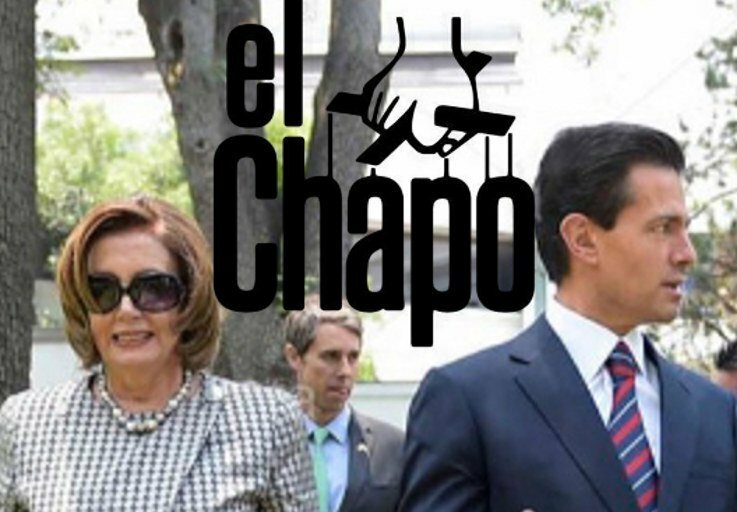 Fact: Alex Cifuentes, reportedly a close associate of Joaquín “El Chapo” Guzmán for years, told a New York City courtroom in 2016 that he had told authorities that El Chapo had offered President Nieto a $100 million bribe in 2016 – the same year Pelosi and her posse came calling. Today Guzmán was found guilty on all counts by a Brooklyn jury. He faces a lifetime sentence behind bars and will be sentenced June 25. Are we safer now? Are there less drugs flowing into the country? Are there fewer criminal illegals crossing our border? Are there fewer crimes committed by illegals? Has the gang problem with groups like MS-13 been eradicated? Fact: Former Democrat and current Trump supporter Jeffrey Peterson has been very clear why he believes Democrats oppose building the border wall – because they are being paid by the Mexican drug cartels. Peterson told the The Gateway Pundit last month that the only way President Trump will ever get his border wall is by declaring a national emergency because the Democrat party has been bought and paid for by Mexican drug cartels. Democrats oppose Trump’s plans for a border wall, they oppose Border Patrol recommendations asking for a wall, they oppose law enforcement enforcing existing immigration law, they oppose ICE operating in sanctuary cities and they even oppose the very existence of ICE as part of our Homeland Security strategy. If not bribes by the Mexican cartels to ignore the crisis on the border, why else do Democrats continue to blatantly defy the will of the American people? Why else do they ignore commonsense solutions to protect the national interest at their own political peril unless their party has been paid to look the other way? Nothing else makes sense, and you can bet Democrats’ refusal to #BuildTheWall is making Nancy Pelosi and her border hombres mucho dinero. Thanks for reading Dean Riffs. Welcome to all those who love American liberty, free enterprise, and who believe God has blessed our country. End of Government Shutdown Near? This just in to our news desk: Federal employees affected by the longest government shutdown in history may soon be going back to work. Sources close to secret discussions between Republicans, Democrats and President Donald Trump say an agreement may be near at hand. 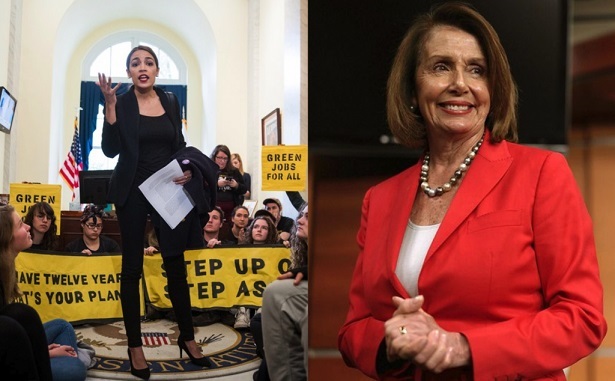 1) President Trump will give New York frosh Democrat Rep Alexandria Ocasio-Cortez an ambassadorial appointment – preferably somewhere far away from the 116th Congress. Pelosi herself is reportedly suggesting Nepal or central Cambodia. 2) President Trump will use his extensive business connections to persuade Burger King to name Rep Rashida Tlaib, the freshman Democrat from Michigan, as their national spokesperson for their Bacon King burger. Tlaib has also been mentioned as a possible spokesperson for Purina dog food and Holy Land tour guide groups. Her new job would require frequent travel to different continents and days on location in exotic venues like Aleppo, Syria; Tripoli, Libya and Ashgabat, Turkmenistan. Sources noted that Speaker Pelosi approached the president via back channels, surprising Senate Minority Leader Chuck Schumer whose office was not consulted on the new development. A Schumer spokesperson confessed the New York senator was initially “miffed” at not being consulted, but agreed that Pelosi’s actions were understandable considering Representatives Ocasio-Cortez and Tlaib were “special” elected officials with wide ranging talents. The Democrats of the 116th Congress were sworn into office January 3, and the only thing missing from the spectacle was a clown car and laugh track. Based on their heralded diversity and socialism proclivities, we knew the special day would be ripe with bombast and bonhomie, but truth be told, their unhinged zealotry exceeded our expectations. Arizona Democrat frosh Kyrsten Sinema chose to swear an oath to the Constitution on a law book rather than the Holy Bible. She is also one of only two senators with LGBTQ sexual orientation. Conceivably this could give Sinema some advantage when the so-called moderate straddles the fence on important issues facing our country. IMPROVE BORDER SECURITY – EXPAND ABORTION! 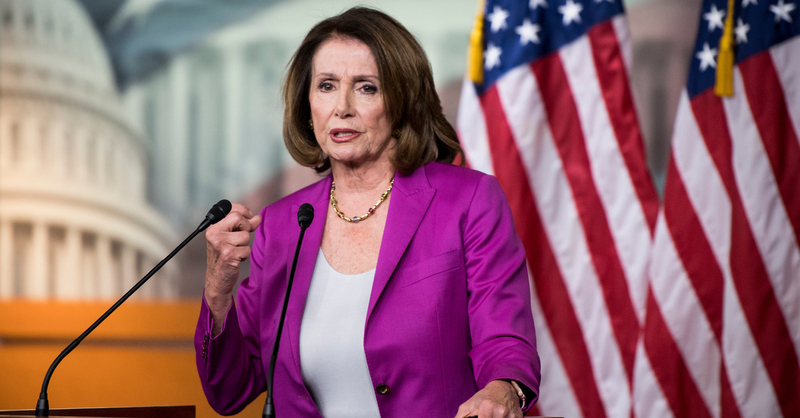 Speaker Pelosi and House Democrats wasted no time their first day addressing an immediate solution to the government shutdown over President Trump’s request for a border wall. Their recommendation? Expand abortion access worldwide by lifting the ban on non-governmental groups from providing and promoting abortions worldwide. One would think building a wall to improve border security would be easier and more humane, but apparently Democrats believe sucking the life from babies in the womb is less immoral than building a physical structure protecting America’s borders. 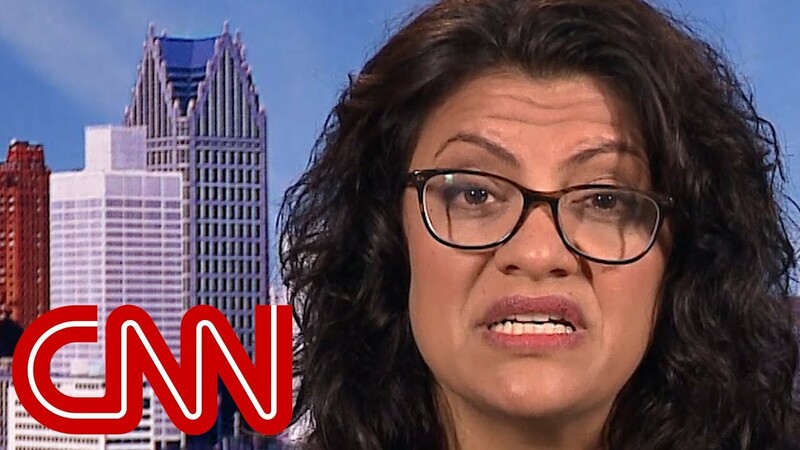 Tart-tongued Michigan frosh Rep Rashida Tlaib, one of two Muslim women sworn in last week, illustrated her inclusivity and warmth when she told a group of supporters, “We’re going to impeach the motherf&*%#$. This is what she reportedly told her son what Democrats were going to do to the president once his Mama was sworn in. Who could forgive her son’s confusion if one day he’s elected as an officer to the Student Council and yells similar epithets at the school principal swearing him in. Freshman Virginia Representative Jennifer Wexton thought it would be nice to show her true colors and demonstrate solidarity with the transgender community by flying the transgender pride flag outside her Congressional office. Wexton isn’t transgender, but she has a niece who is and one of her hall mates is Danica Roem, the nations’s first openly transgender person to serve in any U.S. state legislature. The transgender flag consists of five horizontal stripes: two blue, two pink, and one white. What flag did Wexton’s transgender flag replace? The black and white POW/MIA flag honoring veterans who were – or are – missing in action. Swapping a decades-old flag commemorating America’s veterans in the People’s House with a flag honoring people confused as to which bathroom to use seems misguided at best and insulting at worst. Not to mention Wexton has an estimated 60,000 former military members working civilian jobs in her congressional district, and an untold number of active duty military. 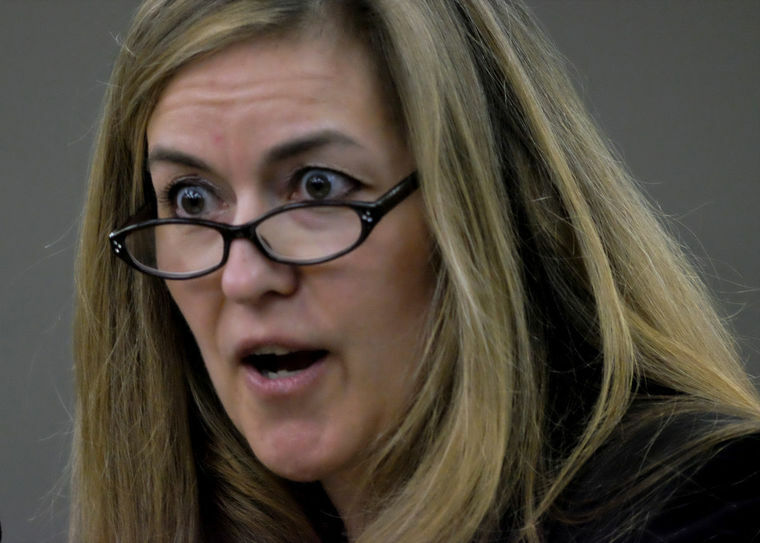 Time will tell how voters react to Wexton’s change of colors, but the anecdotes above are just four examples of alt-left Democrats showing their mistaken priorities. And that was just their first day! Remember the hullabaloo candidate Trump caused in the final presidential debate when he said he might not accept the results of the 2016 presidential election if it was “rigged” against him? The mainstream media and political left went full-blown Trump Derangement Syndrome, sometimes referred to in the mental health community as Bat Guano Loco. How ironic is it that the same folks who took umbrage at Trump’s claim about accepting the election results refuse to accept him as a legitimate president two years later? Not to mention that there really was a plot to rig the election against Trump – followed by Deep State cloak and dagger games to force him out after his inauguration. Even when they cheated by stacking their liberal deck of lies and deceit and hid their maniacal machinations from the voting public, the left still couldn’t win. Since that time the left has grown increasingly hostile, mean spirited and nastier than Joy Behar at a Christian prayer meeting laying hands on the president. 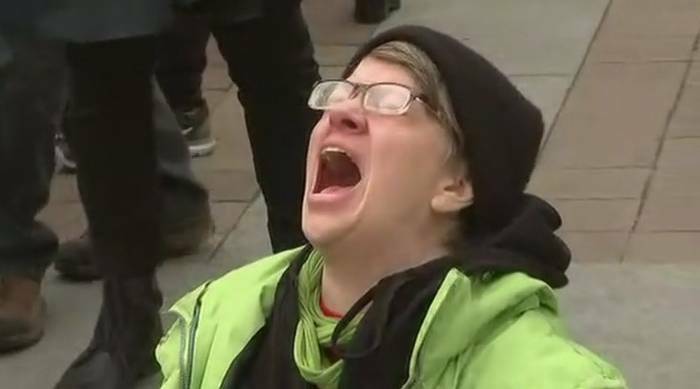 If Trump and the Republicans beat them again there’ll be enough liberal tears to irrigate the Sahara Desert until mid-century. 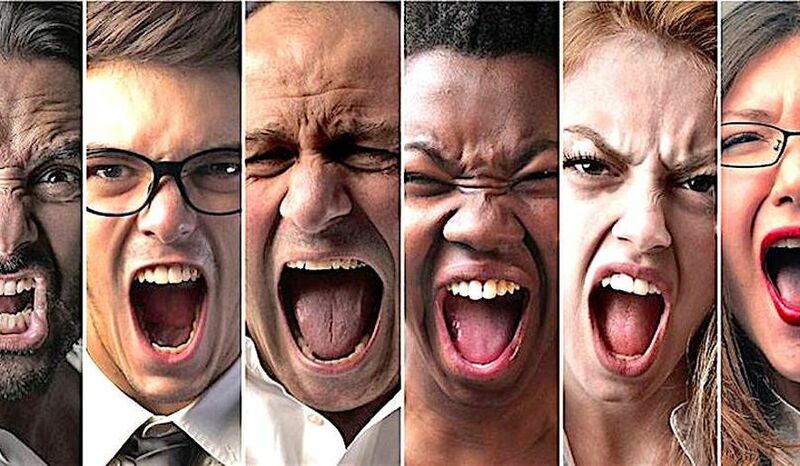 The wailing and gnashing of teeth will reach Biblical proportions not seen since Biblical times – or roughly since 2020 Democrat presidential front runners Joe Biden and Bernie Sanders were grade-schoolers. Win or lose, Democrats have a serious problem best illustrated by the Marvel nemesis Venom. Just like Eddie Brock, the Democrat party has been taken over by a Symbiote form requiring a host body to carry out its nefarious plans. The open borders/sanctuary cities crowd, Antifa, Black Lives Matter, #MeToo movement and Never Trumpers are the Symbiote life form and the Democrat party – well, it’s the headless host body. All these social justice groups have annexed the Democrat Party apparatus and moved it so far left it defies electoral gravity and political commonsense. If the Dems win the House November 6, Speaker Pelosi (*shudder*) will have to work her Botox injection appointments around corralling the violent mobs her party has encouraged the past two years. If they lose, the Symbiote will almost certainly ravage the host body and Democrats will become the 21st century version of the Whig party. The downside for Americans is they’ll be forced to deal with the mess either way. 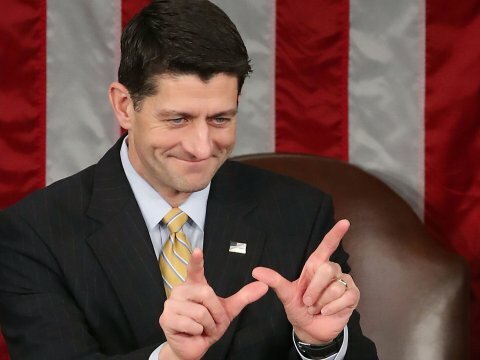 If Mitch McConnell or Paul Ryan were advising Judas about betrayal, the disciple that sold Jesus out for a mere 30 pieces of silver would have commanded a much higher price for his treachery. Conservatives, mark down in your history books – 2018 was the year that Good Friday was preceded one week by Black Friday – or maybe it should be called “Red Friday” since it committed taxpayers to billions of dollars in reckless social services spending with a budget that would make the Kremlin proud. 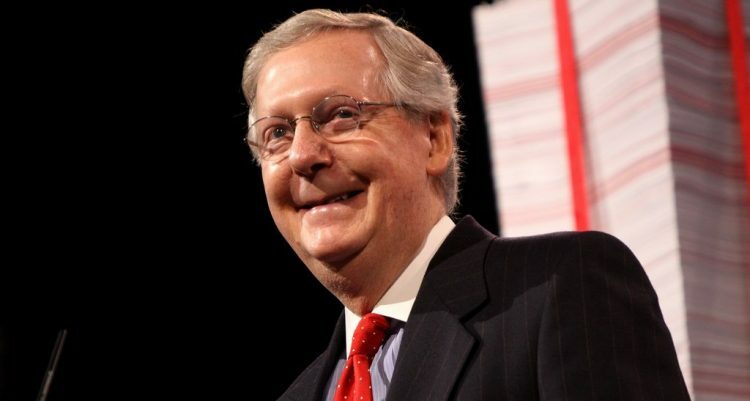 Many Trump supporters experienced disbelief, anger and depression faster than a Lamborghini going from 0-60 mph when shortly after midnight March 23, Senate Republicans joined hands with Democrats to pass the second highest budget in U.S. history. If the president had followed through on his threat hours after the vote to veto Chuck and Nancy’s pirated pork pie, it is unlikely it would have cost him a single loyal supporter. A veto would have shut down the government and forced Congress to come back from a two-week Easter recess and renegotiate. If Congress chose not to negotiate and managed to override Trump’s veto, congressional Republicans would have owned this disaster themselves. Not now – Trump’s signature makes him just as culpable as the Republicans who stabbed their constituents in the back – his good intentions regarding the military notwithstanding. 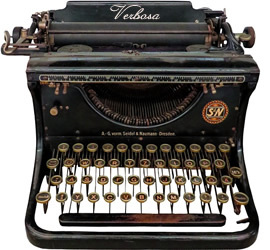 Bottom line: after the president signed what he himself called a “ridiculous” bill numbering 2,232 pages, it may conceivably cost him millions of supporters and done irreparable damage to his brand as a political outsider and consummate negotiator. 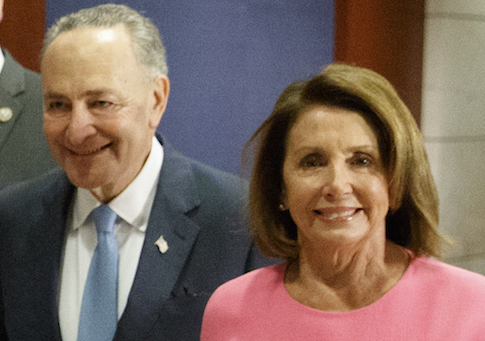 No wonder Democrats were smiling so broadly – they got almost everything they wanted (Planned Parenthood funding, sanctuary city funding, firearms restrictions, funding for the New York-New Jersey underground tunnel), plus they got their Republican counterparts to put a 727-sized hole in Trump’s plans for a beautiful border wall. That’s two walls the Democrats managed to bring down in time for this fall’s 2018 election – the much promised border wall and Trump’s former wall of invincibility.